Drayton Bowls Club (Toowoomba) was established in 1946. Since its inception, we have had a strong membership base which has produced players who have gone on to represent district sides. Drayton currently holds the pennant flag title for Division 3. Drayton is proud of the fact that it is entirely supported and run by members of the club and are always warmly welcoming of new people wanting to join from the Toowoomba area or out of town. 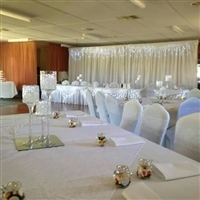 Check out the facilities inside the Drayton Bowls clubhouse; perfect for weddings or anything else in life that needs celebrating.